Well, I looked it up like everyone else does on Wikipedia and this is the definition. Valentine’s Day, also called Saint Valentine’s Day is celebrated annually on February 14. Originating as a Western Christian feast day honoring one or more early saints named Valentinus, Valentine’s Day is recognized as a significant cultural, religious, and commercial celebration of romance in many regions around the world, although it is not a public holiday in any country. This post focuses on how to create a custom linetype for that special person in your life or just to show you how to incorporate already defined shapes via the webdings font into your custom linetype. Check out my video on how to create a Heart Linetype in AutoCAD for your favorite Valentine! This older video will help you define your linetypes using fonts. Have a great February everyone! Until next month or at Midwest University 2018 in March. Check out my class Getting Productive with Plan and Production in Civil 3D. It’s a cold Saturday morning in Michigan. As I am sitting here drinking my coffee I wanted to respond to a question on a post I wrote about using fields in AutoCAD. It was one of those moments where I thought…..hmmm yeah you can do that with AutoCAD fields. Part 1 below is my original post about using fields to calculate an area and add to a label. A direct question came to me about saying “Sam, it would be nice if you could have a field to add up areas of several objects.” The answer is yes, you can with a table or a mathematical formula right in the field. Move to part 2 for the explanation and a video explaining both processes. I am going to focus on the portion without the table then show you a quick demonstration on how to add the areas in a table. Figure 1: Total Area in a field (left image) and total area in a table (right image). I am sure we have all had to calculate an area of a pond, footprint, or some other irregular shape in AutoCAD. What about those times when we need to convert to acres, simple – right? We just get out our calculator or use the onscreen calculator and do the math. Let’s let AutoCAD do that for us. We are now going to locate or create a closed object or polyline in a drawing and place a leader with mtext on an object and use a field to label the area (in acres) of the object. Let’s first drawing an irregular shape on our drawing. Next type the mleader command and place a leader pointing to the object as shown in Figure 2. Notice how we do not have anything after the “=” sign for the area. Right click and highlight (red box) where you want the number to be in your mtext and select insert field as shown in Figure 3. Select the additional format button as shown above in Figure 5 above and another dialog box will pop up and you can add some custom formatting. 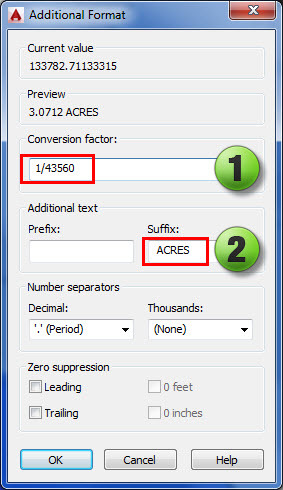 We need to convert the value to Acres and we also would like to add a suffix as shown in Figure 5 . 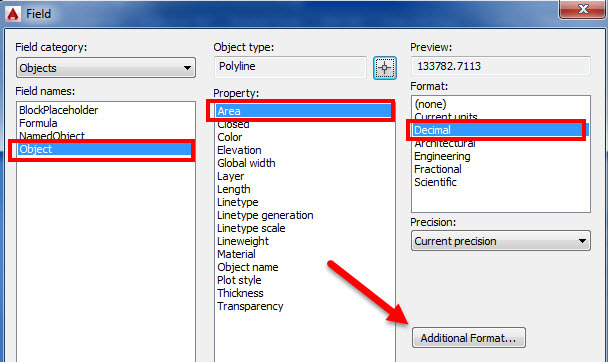 You now have linked a field with additional format to an object in AutoCAD. If you revise the boundary the field will automatically update with the new area shown in Acres. If you break the link between the object and the field, simply right click and reselect the object following the steps above. Your final output should look just like Figure 6 below. Don’t forget to change the precision to your desired output, you can change this in the additional format window as shown in Figure 6. We have our areas again just like in Part 1. Except in this example we have 3 separate areas that we would like to calculate the square footage individually and also add it to a field which will update if any one of the 3 areas updates. Simply follow the steps in part one selecting each object (in this case the polyline) and adding some additional format as shown in Figures 1 and 2 below. At this time we do not want to add any additional format until we get to the last field added. Step 1: Select the object or outline of the pond. It must be a closed polyline-then make sure the object type is area as shown. Step 2: Change the units to decimal with the precision of 0.0. Step 4: Go to the formula and paste in the number and add a + after it. After completing the first one then go back to the object tab and get the area for the second object. Your final Formula section should look like what is shown below. Once you get all 3 in there go to the additional format section again and add your custom prefix and suffix as shown. You now have a field based off 3 objects that will add up if the geometry of those objects change. The following video will go through all the steps on how to have these areas calculated automatically. This year I am speaking at Midwest University and my class is Getting Productive with Plan and Production in Civil 3D. This is such a cool topic and I am looking forward to presenting. At Haley & Aldrich we have had some projects over the past year that included very long alignments and roads. The plan and production tools worked great and we were able to streamline the process of setting up our sheets. That’s all for now, you all have a great rest of your weekend wherever in the World you may be. 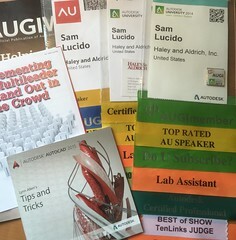 When I was teaching a class at Autodesk University 2016 someone asked me a question and started the question by saying “Sam, we have some very creative users”. I laughed and still think of that moment since it was a clever way as a CAD manager to describe a person who just loves customizing AutoCAD and trying out new features. Now that being said, it is great to be creative and have passion but please stay within the boundaries of your CAD standards. I am sure many CAD managers like myself welcome the opportunity for others to share what they know to appease their creative site and keep things interesting. This post is all about being creative. I actually had to create a custom arrow head for a dimension on a project and incorporated into our company standards. Let’s first discuss the 19 arrowheads that are available for leaders, multileaders, and dimensions. These blocks will be added to your drawing when you launch a dimension command, leader, or multileader command. You can modify these blocks to custom arrows to align with your business needs. The following video will show you how to create new arrow styles in AutoCAD. I start out with the blocks already provided and go through steps on how to create new styles. This second video I created for fun. 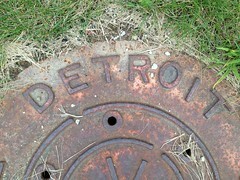 It’s hunting season in Michigan and I have this unique photo of an arrow head (thanks James!). I wanted to show you how to take an image, import into AutoCAD, and create a custom arrow style based off the object in the picture. That’s all for this month – time to go finish up decorating the house for Christmas. I will post after the holidays about Autodesk University 2017 – It was another great year of collaborating with design professionals from all over the world. I saw some old friends and met some new ones. I am very thankful for having the opportunity to be a part of such a wonderful event. For this post I wanted to share some tricks that I use when using Mtext in AutoCAD. There are a few system variables that I use frequently and have come up in my workflow over the past several weeks. Do you miss that toolbar that was shown above MTEXT in a previous version of AutoCAD? You can get that back with the MTEXTTOOLBAR system variable. The MTEXTTOOLBAR (shown below) system variable controls the display of the Text Formatting toolbar. I like to have this set to 1 which will display the toolbar directly above your mtext for quick formatting. 0: The Text Formatting toolbar is never displayed. The contextual Ribbon (shown below) will show up no matter what setting you use for this variable. 1: The Text Formatting toolbar is displayed upon selection of an MTEXT object. 2: The Text Formatting toolbar does not display when the ribbon is on. Next up is how we edit and view text when double clicking the mtext object. Have you ever double clicked an MTEXT object and the text appear very large or off the screen? Well, this is where the MTEXTFIXED variable comes in handy. The MTEXTFIXED system variable sets the display size and orientation of multiline text in a specified text editor. 0 or 1: Displays the In-Place Text Editor and the text within it at the size, position, and rotation of the multiline text object in the drawing. 2: Displays the In-Place Text Editor and the text within it at the size, position, and rotation of the multiline text object in the drawing. Text that would otherwise be difficult to read (if it is very small, very large, or is rotated) is displayed at a legible size and is oriented horizontally so that you can easily read and edit it. The last one is just a little fun. Do you want your text to default to your name or something else you think sounds cool? The MTJIGSTRING system variable sets the content of the sample text displayed at the cursor location when the MTEXT command is started. Type MTJIGSTRING at the command prompt and enter your desired text. For this example I used CADproTips. The next time you launch the Mtext command the text string is displayed in the current text size and font. You can enter any string of up to ten letters or numbers or enter a period (.) to display no sample text. Those are just a few system variables to help you control how you use and work with Multiline text in AutoCAD. The following video will show you how to go through the steps in editing these system variables. Less than one month away and I will see some of you in Las Vegas at Autodesk University 2017. I am helping several friends out in the lab this year with Civil 3D and AutoCAD classes. I am looking forward to helping and being a part of this awesome event. Now that I have everyone’s attention, I have decided to write about something I did at Autodesk University in November of 2016. I was faced with the challenge of teaching a hands-on lab. Teaching a lab can be very difficult since you have 100 people with all different levels of skill. You do not want to make it too easy, go to fast, or make it difficult for people to all follow along. I connected with friends at the AKN (Autodesk Knowledge Network) and decided to use Project PRAXIS as my way of collecting my notes and training materials. My class, Pumping up Productivity in the Lab with Macros One Character at a Time is based on creating time saving macros in AutoCAD to be placed on a tool palette for quick access. Hands on labs at AU are not recorded which made me want to provide everyone with a way to go back to the class and review anything they missed or did not have enough time to review. The image below includes the palette provided in class as well as some additional ones I have been testing over the past few months. Macros can be very productive and fun to create! At the time of Autodesk University in November of 2016 my paper was over 50 pages and contained 13 exercises for my class to go through in 90 minutes. I decided to document my entire workflow which you can view in here in PRAXIS. I have finally completed my additional exercises to the workflow and now have 20 total. Each exercise includes documentation and a Screencast (shown in collection below) for the user to have a printout and a video on how to complete the exercise. PRAXIS was a great way for me to keep my notes, document the exercises, and stay organized and focused. There were some late nights and weekend hours but the end result is a fully comprehensive workflow of 20 exercises with many references to sources on how to complete macros in AutoCAD. Select the image to be taken to my workflow on Macros in AutoCAD. PRAXIS is a cloud-based app for sharing your product knowledge and best practices through simple, step-by-step workflow diagrams. PRAXIS runs on your browser, you always have access to the most up-to-date version. PRAXIS works on Google Chrome, version 20 and later, on Windows and Mac OS. We plan to support other browsers in the future. There is no concept of files in PRAXIS. Your work is saved automatically to the cloud. For the time being, anyone can view a shared workflow, but only in Read-Only mode. That’s all for now my friends. For those of you who know me I am a very huge boxing fan so I have to go now and visit with friends and family to enjoy some time together and watch a fight later tonight. Don’t forget to register for Autodesk University 2017. Look me up, I will be there roaming the halls and attending classes just like you. Do you know about the “Places List” in AutoCAD? I have used this technique for years and it still holds true to be one of the most effective ways to reach (find) files and projects in AutoCAD. Back in AutoCAD 2000 the “Places List” was introduced into the software on the open dialog box as shown below. It is a feature that is used to reduce your amount of time finding and accessing drawing files and folders and one of my favorites for years. Get to work on Monday and load up all your current projects for the week using this technique. Here is how you do that. Start a new drawing and choose open. You will see the open window as shown below with the “Places List” highlighted in Red. All of your projects are located under the name window. Using Windows Explorer navigate to the project and/or folder your files are located. Left-Click and Drag that folder to the Places List on the open pane as shown below. Here is a quick video on how to load your “Places List”. This will NOT affect anything on the network, it is merely a shortcut for putting your projects in a quick location for you to save time. Once your folder is in the “Places List” you can right click and rename your project to a name that is logical to your workflow (see image below). This name is for you only and will not affect anything on the network. When finished you will be asked if you want to save the names to the places list. Select YES and those folders will appear each time you load AutoCAD. This method will save you time and help you as you multitask during your work week. Happy Father’s day to all you dad’s (and grandpa’s) out there! Enjoy your day with friends and family and be safe and happy. Are you in Control or is AutoCAD? Being a long time user of AutoCAD I am a keyboard person; Shortcuts, Ctrl keys, and Macros are some of my favorite settings to customize and use during the design process. This post will describe keyboard shortcuts in AutoCAD. We are going to focus on shortcuts that use the CTRL key combination. I have listed the control key combinations below as well as including a link to the AutoCAD keyboard shortcut guide. CTRL+A = Selecting all Entities in the drawing even under Layer OFF mode ( But not under Freeze mode ) CTRL+S = Quick save the file. CTRL+0 = Clean Screen (Hiding All Tool bars) – good for Presentations For more keyboard shortcuts check out this handy guide provided by Autodesk. Click on the image to follow the link. Please see the attached video describing some shortcuts in AutoCAD. Below find the link to the 150+ AutoCAD keyboard shortcuts. Follow the link and download this useful pdf file to help you in you everyday design work. Hope you all are well and are enjoying the start to your summer. 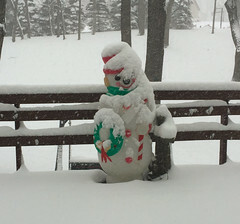 Be safe and happy….until next month. Let’s create a macro to remove those tabs and cleanup your drawings. 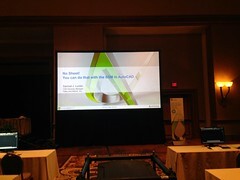 If you have followed my screencasts and classes at Autodesk University creating a macro can be very easy. For more information check out my PRAXIS workflow from Autodesk University 2016. Select the image and you will be taken to a comprehensive workflow showing how to use macros in AutoCAD. I am currently updating with BONUS exercises so check back later! This post will be included as Bonus Exercise 14. The easiest way for us to create and use a macro is on a tool palette. Open up any tool palette right click in the palette area and hit New Palette as shown. This will bring up a new blank palette in AutoCAD. The macro then continues to delete another layout named layout2. If you only have layout1 in your drawing it will be deleted and no other action will be taken. The following ScreenCast will show you how this command works. Find this video along with other macro videos in my ScreenCast Collection Page located the Autodesk Knowledge Network. It’s goal setting time at work and in my opinion never too early to set a goal to attend Autodesk University 2017 in November of this year. AutoCAD 2017 arrived last year with some new commands and features. I know it’s almost a year old but many of us take time to review the software to ensure that it’s stable and has enough features to determine whether we deploy and upgrade to the company. A couple simple yet favorite ones of mine are the Centerline and Center Mark commands which you can add to existing geometry. Type CENTERLINE or CENTERMARK at the command prompt or on the Ribbon – Annotate Tab – Centerline panel, select the Center Mark or Centerline as shown below. By selecting the image you will be taken to the knowledge network showing an article on these commands. These center lines and center marks will remain associated with the objects you selected when they were created. These lines are linked together, therefore changing the position of the original geometry the centerline and center mark geometry will change to reflect the updated position. The following video shows the two objects that are associated with the Centerline. Notice when I move the outer lines the centerline retains it’s position and remains in the center of the two lines regardless of whether I move and/or stretch the associated objects. The Center Mark command will put center marks on a circle or arc. This command creates a cross-shaped mark at the center of a selected circle or arc shown in the quick video. These Center Marks will have properties associated to each of those as shown in the window in the upper right of the image which can be found on the properties palette. Select the Center mark and hit CTRL+1 to see the properties palette and located the geometry section. You can control the distance, size, and display of the objects by using the properties palette as shown. Let’s review from the image shown below with the numbers representing the geometry as shown on the properties palette in the upper right of the image. Cross Gap: the gap between the cross and where the extension line begins. Left Extension: Distance from the grip on the end of the circle to the end of the line. Right Extension: Distance from the grip on the end of the circle to the end of the line. Top Extension: Distance from the grip on the end of the circle to the end of the line. Bottom Extension: Distance from the grip on the end of the circle to the end of the line. 7. Show Extension: This determines if you just get the cross or the extension lines. You have the ability to turn on and off. The following video shows what this switch does. These two new commands can be very helpful when creating detail sheets for projects as well as locating and maintaining the Centerlines of objects in AutoCAD. Prior to publishing this tip, I noticed Jaiprakash Pandey – SouceCAD had previously posted on this very topic. Please take a look at his article as well as it provides additional information on the use of these new tools in AutoCAD. Take time to visit his website as he has a very large amount of AutoCAD tips, tricks, and training materials to help you as you work in AutoCAD. Thank you, Jaiprakash for all you do. May 2017 bring you health, happiness, and peace. It’s almost November and the leaves are falling fast in Michigan. This will be my last post prior to Autodesk University 2016 and soon it will look like the photo below on my deck. I do like the winter time so I welcome the change of the season, the holidays, and the family time that goes along with it. I just finished my papers for Autodesk University 2016 (lots of weekends and late nights) and wanted to share one last post prior to the conference. Example of the Earth hatch pattern. Let us now add some extra patterns to the custom tab. You are asking “Sam, what custom tab?” Select Hatch on the Ribbon (or type Hatch at the command prompt) then T for Settings. This will bring up the Hatch and Gradient dialog box as shown below. Next select the ellipses as shown next to the pattern name to bring up Hatch Pattern Palette with a Custom tab shown. After selecting the ellipses you will see the Hatch Pattern Palette as shown on the left portion of the image below. Selecting the custom tab will bring up the same dialog box with nothing in there as shown highlighted in yellow in the image on the right. Let’s add some custom hatch patterns to this tab. Notice how there is nothing in the image to the right under the custom tab. Move out to your local C drive (or network folder) and create a Hatch folder, in this example we named the folder CustomHatch. We then placed all of our hatch patterns that we downloaded to that folder. The next thing we need to do is add that folder to our Support Search Path in AutoCAD. In AutoCAD type Options at the command prompt or right-click in the command area to bring up the Options dialog box. Within this dialog select the files tab and pull out the Support File Search Path and select the Add button as shown. You will now browse out to your Custom hatch folder and add it to the path. It will be added to the bottom of your list. Simply select the Move Up button and move to the top of the Support Search File Path (just in case you have other custom files that are loaded ahead of this file). Hit OK and Apply and get out of the dialog box. Move back out to your command line and type Hatch or select Hatch from the Draw Panel on the Ribbon. Select T for settings once again to bring up our dialog box. Move out to your Custom tab and your custom hatch patterns will be displayed in a list as shown. You can now have your favorite hatches in a separate folder for quick access. Don’t forget to also look at that Hatch and Gradient Dialog box where you can also set hatches to be Annotative, Associative, and even setup a default layer. If you are wondering about the Ribbon, they are added there as well. Under the pattern name select User defined as shown and your patterns will be added to the list of hatches available in your current drawing setting. That’s all for now until we meet in Vegas at Autodesk University 2016. I always look forward to this time of year to see all my friends, learning new technology, and working with some of the best and talented people in the world. That includes you! I look forward to meeting new friends at the conference. I did tell one person (Hi Adam!) that I was going to do this when I got off the plane in Vegas! Just kidding, you will see me with the usual hooded jacket and jeans making my way to the registration booth to get my badge. Always a great feeling and a walk I look forward to taking. See you all there! CSI: CAD Standards Implementation: The new kid to the party. Over the past year I have been working on creating standards and a standard approach to auditing and checking CAD files. This tool can prove to be very efficient in AutoCAD. I am very excited to explore this further and present at AU. We are going to create our .dws (standards file) and compare that to several non-compliance drawings and demonstrate how effective we can be. Pumping Up Productivity in the LAB with Macros, One Character at a Time: Taking macros to the lab. Open up the the CUI (Customized User Interface) in AutoCAD and touch a command then look at the pane to the lower right. Go through the list of commands and look at the Macro that controls what the command does. Think about altering the macro, adding additional commands and putting it to work for you. If you want to meet some of the best CAD people in the business; I have 3 lab assistants who could teach this class by themselves. Advanced Topics Using the Sheet Set Manager in AutoCAD: No Sheet! I am teaching sheet sets again. What do you prefer %%U or ALT+160 for blank fields? The Sheet View and Model View tabs? I believe that the Sheet Set Manager in AutoCAD is one of the most productive tools introduced and has been in the software for over 10 years. The SSM continues to be avoided by many CAD users. I believe this is mainly due to not giving it a try or believing it is not necessary for the type of work you do. Have a great rest of your weekend and I look forward to seeing each and every one of you at Autodesk University 2016!